LONDON — British Prime Minister Theresa May told members of her party Wednesday evening that she would be prepared to step down as leader to secure their support for her contentious Brexit deal. Her offer to resign comes after months of chaos in Parliament and speculation that she would be forced out. 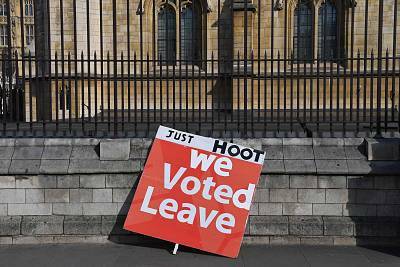 A moment of high drama in the Brexit process, May's move was a last-ditch effort to pass her deal to leave the European Union nearly three years after voters approved Brexit in a referendum in June 2016. "I have heard very clearly the mood of the parliamentary party," the prime minister told a closed meeting of her own lawmakers, according to a government statement released afterward. "I know there is a desire for a new approach — and new leadership — in the second phase of the Brexit negotiations, and I won't stand in the way of that." She added, "I am prepared to leave this job earlier than I intended in order to do what is right for our country and our party." May did not give a date for her suggested departure. Nor will her offer to stand down necessarily be enough to secure a parliamentary majority for the Brexit withdrawal agreement that she painstakingly negotiated with the E.U. The deal has been crushed twice in the House of Commons — suffering the heaviest and fourth-heaviest losses in parliamentary history. To reverse this, May would need to flip most if not all of the 75 Conservative lawmakers who previously opposed the deal. 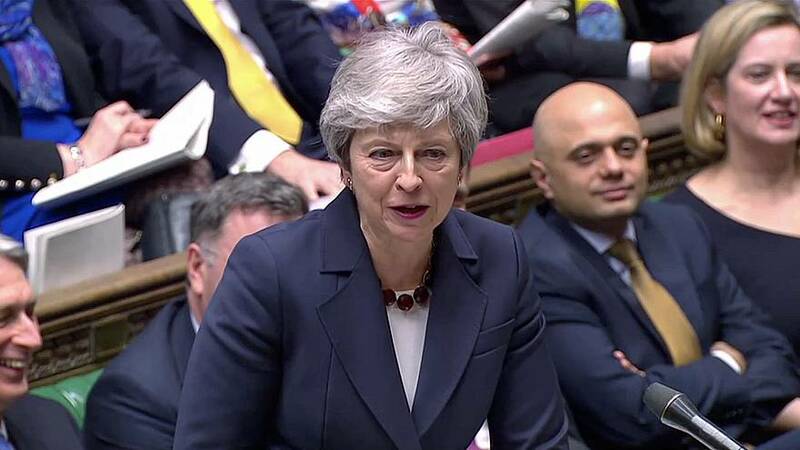 On top of that, the prime minister would need either to secure the support of the Democratic Unionist Party, a small Northern Irish group that has acted as kingmakers for May's minority government, or convince more opposition Labour members of Parliament to cross the floor. May's deal only set outs of the terms of divorce with the E.U. If she does step down, it would be up to her successor — a person elected by some 120,000 Conservative Party members — to negotiate the future relationship with Europe on behalf of the whole of the U.K. In the British political system, the ruling party can change leaders without the need for a new general election. May's attempts to force through her deal has led to her repeated defeat and political humiliation. The Brexit process is regarded by many as the biggest peacetime political crisis ever faced by Britain, with deep, bitter divisions on the issue running through both major parties. Some of the prime minister's own lawmakers attempted, unsuccessfully, to topple May in December. The next month, opposition lawmakers tried and failed to oust her government. May suggested that her resignation would be contingent on her deal passing. There has been speculation she could bring it back for a third attempt this week. If it fails again, Britain may need to ask for a longer extension to Brexit. The original divorce date has already been pushed back from March 29 until at least April 12. If there is no deal and no extension, then Britain will crash out of the E.U. without a deal. This prospect has some supporters, but most experts say it would severely harm the economy and trigger shortages of food, medicine and basic supplies. On Monday, the European Commission said this scenario was becoming "increasingly likely." May took over as prime minister after David Cameron resigned the morning following the referendum in 2016. After several weeks of wrangling between leadership hopefuls, May's competitors eventually bowed out, leaving her as the only candidate standing. She is the fourth Conservative Party leader to be brought down by the question of Britain's place in Europe. Margaret Thatcher, John Major and David Cameron all faced opposition from colleagues on the subject. For many lawmakers, the main sticking point in May's deal is an insurance policy designed to keep open the border between Northern Ireland, which is part of the U.K., and the Republic of Ireland, which will remain part of the E.U. Known as the backstop, hard-line Brexit supporters fear that keeping this border open could trap their country in E.U. trading rules forever and have insisted on a time limit or an exit mechanism. The E.U. however, won't agree to this because of the real risk that a hard border could trigger a return to the kind of conflict that plagued Ireland for 30 years. There have been growing calls for a second referendum on the terms of May's Brexit deal. On Saturday, hundreds of thousands of protesters gathered in the capital demanding a new public vote, and almost six million have signed a parliamentary petition to cancel Brexit altogether.